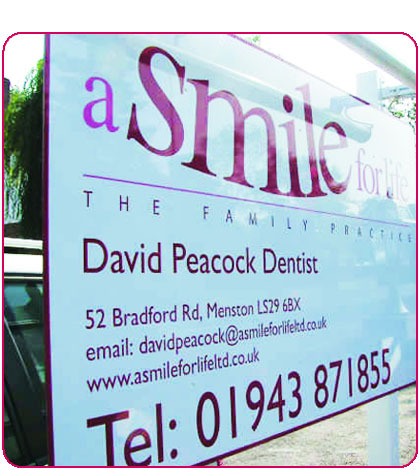 Our reason for being is to bring quality care and personal dental services to Menston. We know that sometimes it can be hard to pluck up the courage to go to the dentist (especially if you haven’t been in years). So whether this is your very first trip, or you are a little bit longer in the tooth, A Smile For Life is a friendly, approachable place to visit. We have built the practice with easy access in mind providing ample parking, a ramped entrance and ground floor facilities so that as many people as possible will be able to use our services. When you come in, we’ll do everything we can to make you feel at home. We will take time to explain exactly what we are doing, before, during and after your treatment. And we will ensure that you are comfortable and relaxed throughout your time at ‘A Smile for Life’. We will work with you and your family to make sure that you all keep your mouths healthy. And, of course, if you need it, a full range of treatments are available. We are constantly trying to improve the service we provide and would therefore welcome your questions, comments or suggestions. Please use our contact us page.